Some of the many pleasures of working as a librarian are ordering books (spending money on books – what could possibly be more fun or interesting or even challenging? ), and then actually seeing the book once it has arrived, holding the book in your hand, and (lovingly) placing it on the new books shelf, where it will hopefully be swept up soon by an interested reader. If you are a lover of books, and a believer in the value of reading, receiving an ordered book is kind of akin to actually handing a book to a patron who has been looking for that particular book. Although it’s not the same exchange, both carry a suggestion of possibility – the possibility that this book will open new worlds, will utterly absorb the passionate reader, will even change the reader’s life. Whether I am directly handing the book to a patron, or placing it on the shelf for a future patron, both allow me as a librarian to express in a quiet way my love for the act of reading. I say all this because today, one of my favorite books of all time came into the library this afternoon. If you know me, you could probably guess that it’s a book of poetry – and it is. 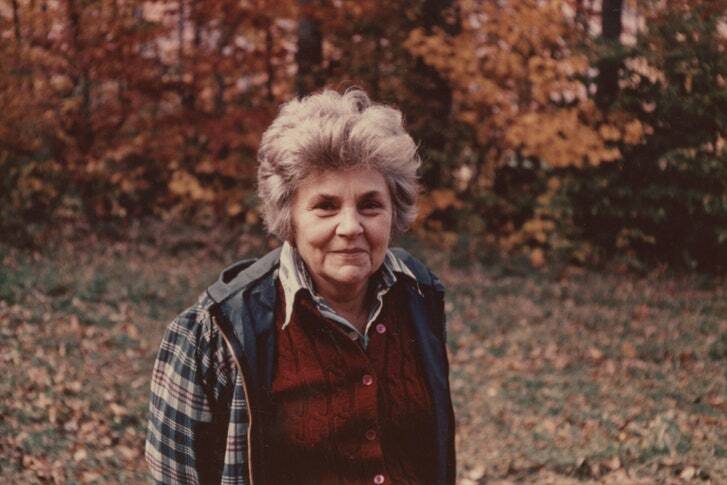 The book is simply called “Poems,” but it is actually the collected poetry of Elizabeth Bishop, a 20th century American poet who was born in 1911 in Massachusetts and died in 1979, and wrote what I believe to be some of the best poems of the 20th century. So why all the hyperbole? What is so special about Bishop? For me, there has always been something special about Bishop’s eye – her powers of description are so intense and unique and funny and interesting, and the details of her description often build in power, and end on just an amazing note. Her poems are so artful, and they are also deeply intelligent. It feels like she saw the world in such an interesting way, and then had the ability to translate this unique vision into language and poetry. It’s behind – I can almost remember the farmer’s name. You know, he was quite famous, an R.A…. I have read this poem many times, and it still remains fresh, “crisp and shivering,” like the iris in the last stanza. What is amazing to me about this poem is that no matter how many times you read it, the epiphany that is at the heart of the poem – the way in which the speaker of the poem gradually realizes that she recognizes the painted scene, and then is able to reflect really deeply but reticently about the meaning of such a scene – always feels surprising and spontaneous and real. Somehow, Bishop was able to kind of encode a dawning realization into her language, and this realization always feels intensely significant. What she is chronicling is in many ways a different way of seeing things, starting with the inherited painting, moving into the recognition of the scene painted, and ending with what the painting means to her. And this is done so wonderfully, without too many linguistic pyrotechnics, humbly, in a kind of plain (deceivingly plain) language. What a great poem. If this poem captures your attention, and you are interested in reading more of Bishop’s poetry, please come to RRPL and check out the book! Here is a link to put a hold on it. Also, below are some resources to learn more about Bishop’s life and work. She is a poet who rewards many rereadings. With that said, Happy Reading! Such an intriguing choice of poetry to share! I loved it from the first line to last. I love reading the different forms and styles of poetry that are available, believing that in order to write well, you must read broadly. Thanks again for great insight to a new poet (for me!). Thanks! So glad that you liked the poem. I really agree with you about how writing well really depends in a big way on reading broadly. So true. Thank you for writing!